Anglesea is a town in Victoria, Australia. 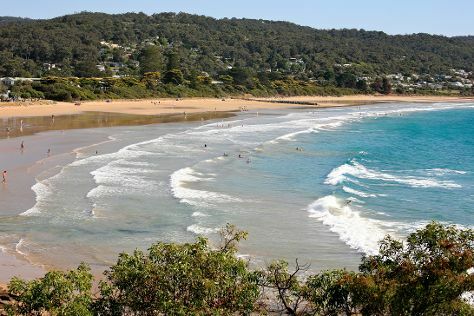 Your itinerary includes some good beach time at Lorne Beach and Bells Beach. Get outdoors at The Great Ocean Road and Swim with Dolphins. Step out of Anglesea to go to Portsea and see Farnsworth Track Lookout, which is approximately 1 hour away. For more things to do, photos, maps, and tourist information, go to the Anglesea online sightseeing planner . Melbourne to Anglesea is an approximately 2-hour car ride. November in Anglesea sees daily highs of 25°C and lows of 11°C at night. Finish your sightseeing early on the 25th (Mon) to allow enough time to travel to Apollo Bay. Apollo Bay is a coastal town in southwestern Victoria, Australia. Start off your visit on the 26th (Tue): take some stellar pictures from Mariners Lookout, then delve into the lush surroundings at Mait's Rest, and then kick back and relax at Johanna Beach. Keep things going the next day: identify plant and animal life at Kennet River Koala Walk, then hike along Great Ocean Walk, and then take a memorable drive along Great Ocean Road. To find more things to do, maps, other places to visit, and other tourist information, use the Apollo Bay trip planner. Drive from Anglesea to Apollo Bay in 1.5 hours. Wrap up your sightseeing on the 27th (Wed) to allow time to drive to Warrnambool. Warrnambool is a regional centre and former port city on the south-western coast of Victoria, Australia. Visit Logan's Beach and Foreshore Promenade for some beach relaxation. 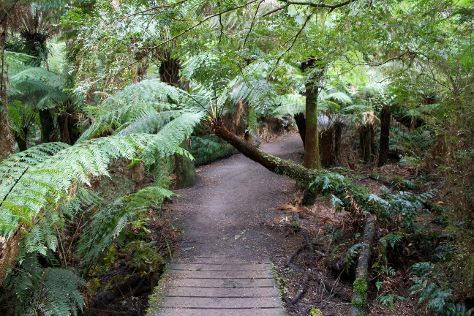 Visiting Tower Hill Wildlife Reserve and Gibsons Steps will get you outdoors. You'll find plenty of places to visit near Warrnambool: Twelve Apostles (in Princetown) and London Bridge (in Port Campbell). There's still lots to do: see the interesting displays at Flagstaff Hill Maritime Village and look for all kinds of wild species at Thunder point Coastal Reserve. To find where to stay, more things to do, traveler tips, and other tourist information, use the Warrnambool day trip planner . Getting from Apollo Bay to Warrnambool by car takes about 3 hours. Other options: take a bus; or do a combination of bus and train. Finish your sightseeing early on the 30th (Sat) to allow enough time to drive to Halls Gap. Halls Gap serves as a home base for visiting Grampians National Park. 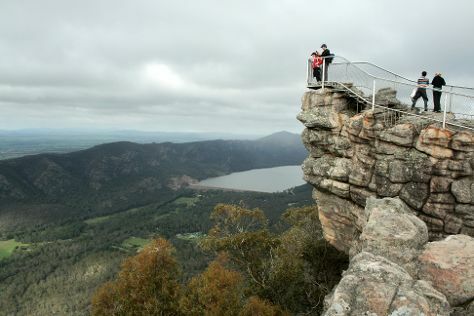 Get ready for a full day of sightseeing on the 1st (Sun): explore the striking landscape of Grampians National Park. Start your trip to Halls Gap by creating a personalized itinerary on Inspirock. You can drive from Warrnambool to Halls Gap in 2.5 hours. Alternatively, you can take a bus. Finish your sightseeing early on the 2nd (Mon) so you can drive back home.